Why should I choose Dr. Rakela to help me become pain free? What acute & chronic pain condition does acupuncture treat? If you are tired of having chronic pain and taking drugs that make you groggy and unable to think clearly, Dr. Rakela can help you control and manage your pain while reducing your dependence on medications. Other types of pain such as abdominal distress, menstrual cramps, and post surgical pain. Dr. Rakela's article on pain describes both the scientific explanation and the classical Chinese explanation of why acupuncture is so effective at relieving pain. Dr. Rakela to help me become pain free? Dr Rakela specializes in treating acute and chronic pain with acupuncture and herbal medicine for a wide range of orthopedic conditions. She is highly qualified with intensive postgraduate training and board certification in acupuncture orthopedics; fewer than 5% of practicing acupuncturists have this qualification. She has 25 years of experience rehabilitating patients with pain due to work or auto injuries as well as other causes. In addition, she has treated many athletes with pain from sports injuries as well as aiding them in performance enhancement. Dr Rakela has treated the following acute and chronic musculoskeletal pain conditions successfully with acupuncture and herbal products. Dr. Rakela has treated many athletes with acupuncture and herbal products (topical and internal) for acute pain due to recent sports injuries. It is important to get acupuncture treatment for a sports injury as soon as possible to help alleviate acute pain quickly before it becomes chronic. Dr Rakela is an expert in the Workers' Compensation system. She worked in an orthopedic surgeon's clinic for twelve years treating numerous patients with work injuries. 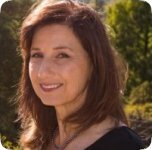 In the 1990's, she was the California State Acupuncture Association's representative to the Industrial Medical Council of the California Department of Labor and helped establish the Workers' Compensation acupuncture codes that all acupuncturists use today. She also helped write the Workers' Compensation acupuncture treatment guidelines. Many patients with pain due to a work injury have chosen Dr. Rakela as their primary treating physician. She also receives referrals from orthopedists to help their patients return to work by treating them with acupuncture to control and manage their pain. The Berkeley Acupuncture and Herbal Medicine Clinic accepts patients who have had motor vehicle accidents. We will bill your insurance company directly or work with your attorney. Dr. Rakela is successful in treating whiplash, back strain and other injuries with acupuncture to help you completely recover from your accident. If your musculoskeletal pain condition is not listed, please call Dr. Rakela at 510.540.6267 to see if she can help you.